Borussia Dortmund starlet Christian Pulisic has spoken of 2016 being "a dream come true" after his remarkable rise from being a hopeful young prospect to a full USA international in less than 12 months. Use your unlimited transfers over the winter break to add Pulisic to your Official Fantasy Bundesliga team! "If you'd asked me this time last year, I'd have had no idea that I'd be this far," he said during a Facebook Live chat with US Soccer from the living room of his family home in Hershey, Pennsylvania. "I've played for the national team and I'm playing at Dortmund. It's been a dream come true […] I've had an unbelievable year. It's all gone so fast." 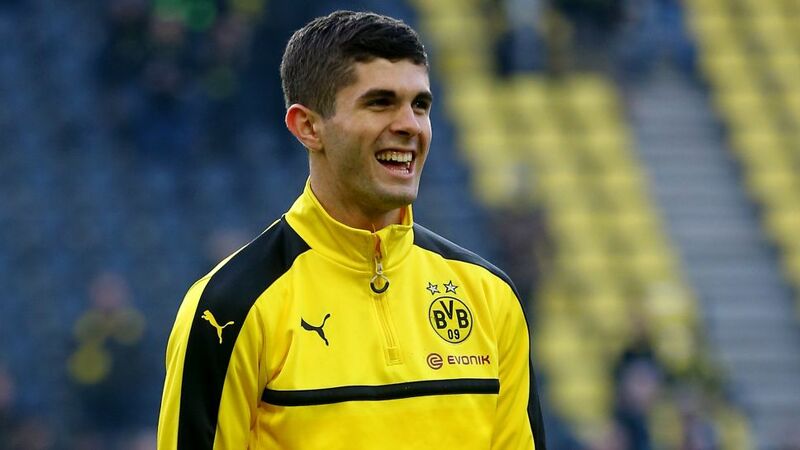 Pulisic was included in the senior Dortmund squad for their winter training camp in Dubai in January 2016 after impressing head coach Thomas Tuchel during training, and made his Bundesliga debut on 30 January in a 2-0 win over FC Ingolstadt 04. He has since made a further 20 top-flight appearances, while this season he has contributed four league goals and four assists so far. Furthermore, he has already played a handful of UEFA Champions League encounters and earned 11 caps for the USMNT, including during the Copa America Centenario that was staged in the USA over the summer. Indeed, such has been the 18-year-old's ascent, he has now been recognised on the streets of his hometown, where he spent Christmas with his family. "People say 'you're an inspiration to me', and that inspires me to be even better. It's been an amazing journey." Answering questions from fans around the world, Pulisic also gave an insight into his life in Germany: "I love living in Dortmund. It may not be the biggest city but our fans are so passionate and it's been amazing being in the city and seeing how much they care. Everyone's got their jerseys on, it's amazing […] I'm very happy here. I'm earning my spot and working hard in the team."